Apparently, even your files now have the possibility to be taken hostage too. A virus called, “Wannacry” has been a global threat over the past week, affecting about 150 countries worldwide. This cyberattack encrypts a user’s files and will threaten to destroy them unless he/she pays a ransom, which amounts to $300 up to $600 and can only be paid through the bitcoin system. Literally, like a hostage taking. This malware inevitably spreads from one email to another, freezing many computers in various countries including Russia, China, India, and in the United Kingdom where the virus spread on different hospitals, which led to losing a lot of patients’ data. Companies worldwide fear the infection as the working week starts. Now, everyone is forced to update their computers and backup all data stored. One general advise, delete suspicious emails. While you update and backup, if you receive any suspicious emails, don’t wait for the antivirus to finish, delete it as quickly as possible! 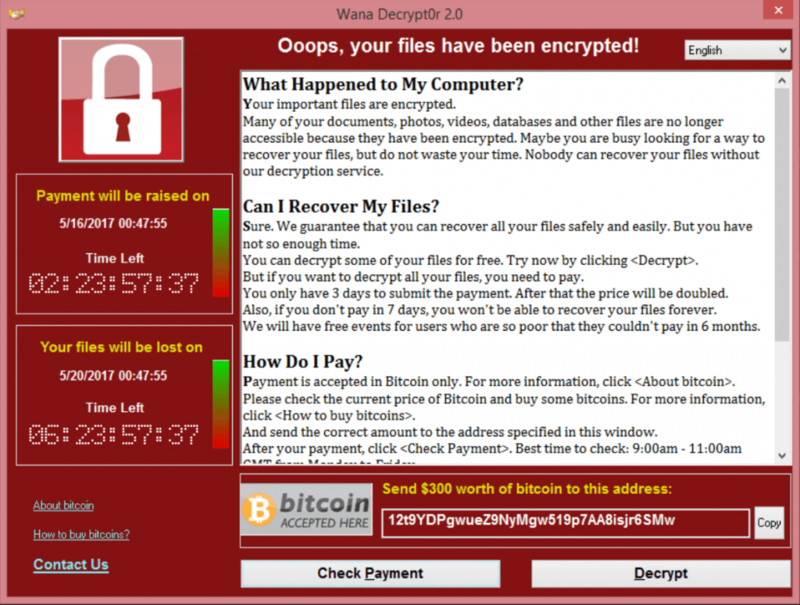 “Wannacry” still threatens to hack on a much larger scale. Make sure that your website doesn’t have the loophole that might provoke this hack! This software blocks all possible loopholes that hackers might use as the gateway to your websites, and later on to your computers.